Not all professional moving companies offer specialty moving services quite like we do here at Abe Lincoln Movers and Storage. Our local Denver movers are always ready and willing to help you with whatever specialty items you may need help moving, ranging from pianos and safes to hot tubs and large furniture pieces. 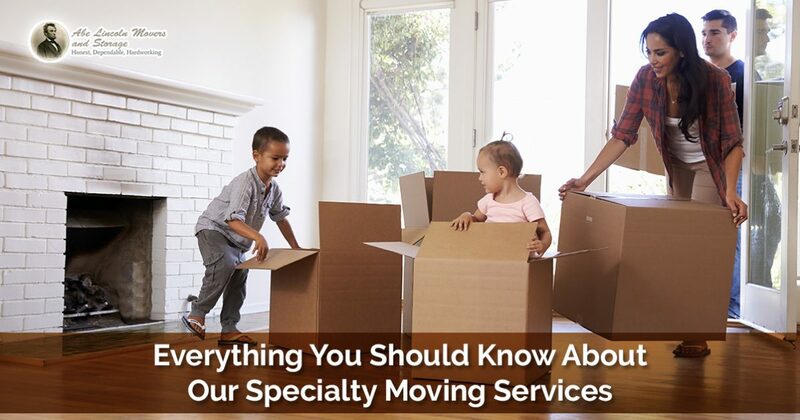 On top of specialty items, we also offer retirement and in-house specialty moving services — but we’ll elaborate more on that later in today’s blog post. Learn more about our specialty moving services that we offer the Denver community below, and contact our team at Abe Lincoln Movers and Storage today to receive a free quote for your next move. Whether your home is undergoing major renovations or the carpets in your corporate building are being cleaned, we can help you temporarily move any and all items in your home or office. We’ll simply send our team of professional specialty movers to your property, and you can let us know any items that you need to be moved out of the way for whatever reason. We can help you move your desired items to another on-site location, and once your project is completed, we’ll help you move everything back to the way it was before. Save time and effort with help from our in-house moving services. Have large, heavy items that you need to be moved to a new place? Are you afraid to move these items yourself in fear of hurting yourself or breaking them? This is a specialty moving service that we’re proud to offer to the Denver community. We can ensure all your heavy and large items arrive at your new location safely and securely. Are you or a loved one moving into a retirement community? Make this life-altering time less stressful and overwhelming with help from our professional moving team. While you worry about making sure your loved one adjusts well to their new home, we’ll take care of moving their belongings. We also offer storage services if you need a place to store a few extra items, since your loved one will likely be downsizing. Choose our retirement community moving services today. Are you in need of a specialty mover in Denver? Look no further than our professional specialty moving team at Abe Lincoln Movers and Storage. On top of our high-quality specialty moving services, we also offer residential and commercial moving services. 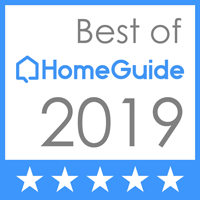 We’ve been helping Denver-ites move to their new abodes for more than 10 years, and there’s a reason we won the Super Service Award by Angie’s List in 2015 and 2017 — we’re great at what we do. Learn more about our Denver moving company here. Contact us today to schedule your next move by giving us a call at (720) 893-1180 or by completing our online form.